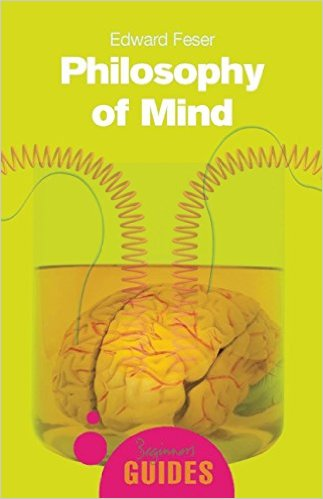 Edward Feser’s book is a fine introduction to the contemporary issues in Philosophy of Mind. I believe this is saying a lot because Philosophy of Mind is a terribly difficult subject and there are no really solid boundaries between today’s major thinkers. For example, Daniel Dennett (Consciousness Explained), John Searle (Mind, Language, and Society : Philosophy in the Real World), Jerry Fodor (LOT 2: The Language of Thought Revisited) and Paul Churchland (Matter and Consciousness: A Contemporary Introduction to the Philosophy of Mind) are all given some mention and their ideas are discussed in a useful way. Two major benefits of this book are the Glossary at the end of the book and the Further Reading sections at the end of each chapter. Feser does a great job hitting the high points and the history of Philosophy of Mind in nine painless chapters: 1) Perception, 2) Dualism, 3) Materialism, 4) Qualia, 5) Consciousness, 6) Thought, 7) Intentionality, 8) Person and 9) Postscript (2006). My degree is in Philosophy and I wish I had had this book my freshman year. And while it may not help resolve any of the issues on the topic, it is very helpful in understanding the issues involved. I highly recommend it.